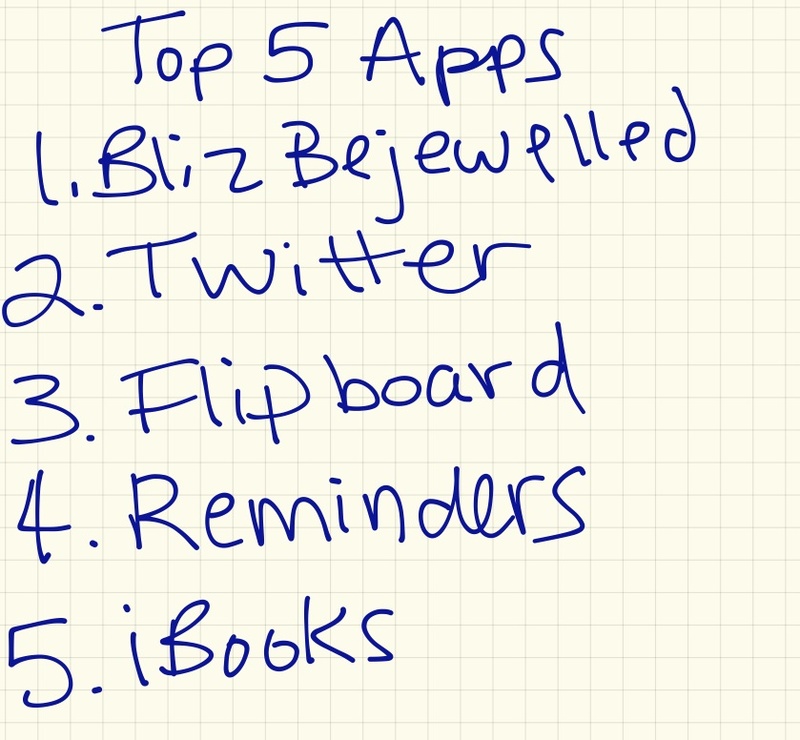 I recently got an ipad mini and I have been enjoying the number of apps that are available for it. I thought I would share some of my favourites here with you. I also love being able to sync my calendar from my computer to my ipad, the wireless sync feature is a great way to easily keep it updated. I also really enjoy being able to quickly check my emails and avoid the hassle of turning on my computer. Blitz Bejewelled - I am obsessed with this game. I cannot put it down. It is by far my favourite. I actually have to limit the amount that I allow myself to play it. Twitter - I love checking twitter on my ipad. It's easy to scroll though and updates quickly. I am constantly on twitter now and love keeping up to date with everything. Flipboard - this might be my favourite app yet. I love it. It is a simple and easy way to keep up to date about the things that I am interested in. I can quickly read headings and if they seem interesting then i can read the entire article. If you don't have this app you are seriously missing out. Reminders - this came installed and I love it. I love being able to check things off. Plus I can simply sync it with my computer and keep lists current no matter what I a working on. Now I just need an iPhone and I will be all set. Haha. iBooks - The mini is the perfect size for reading. Its nice and light. I didn't think I would like reading a book off of a screen but I actually use it all the time. Its is great on the go. 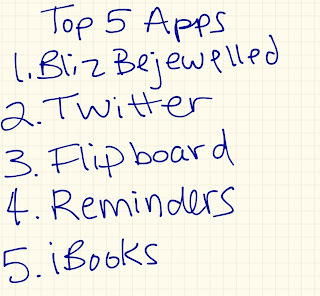 My favorite apps are teuxdeux and evernote. I am constantly using them to make to do lists and to keep notes.